Ofcom to open up DAB digital radio to more, smaller UK stations? | What Hi-Fi? Ofcom to open up DAB digital radio to more, smaller UK stations? A new wave of smaller DAB digital radio stations could be on the horizon after Ofcom announced trials of a new technology that could offer more local and community stations an affordable way to broadcast. The communications regulator said that, if the trials are successful, it could increase the variety of radio stations available to listeners across the UK by bringing down the cost of DAB broadcasting in the future. Ofcom engineer Rashid Mustapha is behind the new broadcasting approach, which could lead to more small scale stations showing on your DAB dial by using software that is freely available from opendigitalradio.org. That means that expensive hardware equipment wouldn't be required, with the "small scale DAB" concept proving best suited for those looking to broadcast to small geographic areas – such as a local community. A small scale DAB experiment has already been carried out by Mustapha in Brighton and proved successful, which has prompted Ofcom to open up the trials on a wider basis and to the benefit of hundreds of stations. It is thought there will be up to 10 trials of small scale DAB in the UK, with the regulatory body now inviting applications. The trials are expected to last nine months and the deadline is 7th April. Ofcom consumer and content group director Claudio Pollack said: "We’re looking for local and community radio stations to take part in trials to test this innovative new technology." 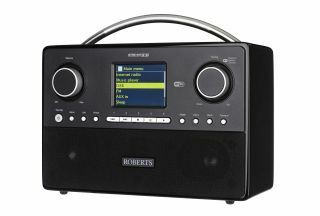 Around half of UK adults claim to now own a digital DAB radio, while nearly 40 per cent of all UK radio listening is digital. The first national commercial DAB 'multiplex' is operated by Digital One and carries 14 stations. A second national multiplex is due to launch next year, while Ofcom is also supporting the Local DAB Expansion plan to bring local DAB services from commercial broadcasters and the BBC to a greater number of homes.